If you’ve ever stepped foot inside of a casino, you’re no doubt familiar with the massive variety of slot games available to players. Whether you’re in the mood for a classic, three-reeled machine with a single payline or a complicated video slot offering 50 paylines and tons of bonus features, you’ll have no trouble fulfilling your desires no matter which casino you choose to visit. These days, the variety is more inclusive than ever before, because online casinos are constantly updated with innovative new slot games to keep players engaged and excited. Modern slot machines feature familiar characters, captivating stories and more types of bonuses and free game features than you can shake a stick at. With the massive variety in mind, finding the perfect slot game to suit your preferences can be a bit of an adventure. Sure, obvious distinguishers like the number of paylines and the number of reels can go a long way toward choosing a machine, but other features can be equally important to your play experience. One of the most commonly sought-after features of any slot is a high payout rate, and for good reason! A ‘loose’ machine can make all the difference when it comes to your results. However, while we know machines with better odds exist, finding them in a sea of slots can be a difficult task. This is because casinos in both brick and mortar and virtual forms are typically stingy when it comes to information about slot odds. You can determine a baseline in most cases by studying state laws, but honing in beyond those guidelines is next to impossible. At this point, the only way to find a good slot game is to spin the reels. Detecting the odds over a short play period is extremely difficult, but that doesn’t mean it’s impossible. Whether through sheer luck or an actual formula, players have been sniffing out the most lucrative machines in casinos for decades, and nothing has changed on that front. Before you get started, let’s take a look at a few things to keep in mind when searching for a good slot game. When in the world of the slot machine, the terms ‘loose’ and ‘tight’ become second nature. Loose machines are those on the higher end of the payout spectrum, while tight machines are a little greedier. In Las Vegas, for example, tight slots may pay out less than 93 percent of the coins played. That’s not to say that you can’t hit a lucrative hot streak from time to time, just that the odds, over the long term, aren’t necessarily in your favor. Loose slots, on the other hand, can provide payouts as high as 99 percent. While you’d still be losing one percent of your bet over the long term, beating the odds and walking away with some extra cash is much easier on loose machines. While choosing loose machines can be a difficult task, there are some important things to keep in mind to help you along the way. One of the biggest is the denomination of the machine. Slot machines range in denomination from a penny per line up to $5 or more. While your inclination may tell you to stick to penny or nickel machines in order to limit your risk, casinos usually reward stepping up your game. In almost all cases, penny slots feature worse payouts than nickel machines, and nickels are far worse than quarters. For this reason, choosing a machine that’s a larger denomination can help improve your odds of taking down the house. Evaluate your bankroll, and go with the largest denomination machine that your finances will allow. Remember, betting one dollar on five lines at a dollar machine will, statistically, pay out much better than betting one dollar on five lines at a nickel machine. Now you know what they mean when they say ‘go big or go home’. 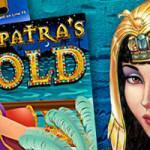 Not every feature of slot machines is a universally adored feature. In a poll, most gamblers stated that they would prefer to play visually appealing video slots instead of standard machines, even if the odds weren’t any better. For these players, the thrill of bonus features, characters and beautiful graphics is worth the risk of slightly worse odds. Obviously, this isn’t the case for every player in the casino. That’s why casino floors are littered with hundreds of different types of machines in order to suit the preferences of everyone. The best way to play slots is to pick a machine that you enjoy playing. That way, even if you don’t win, you’ll still be treated to an enjoyable experience. After all, isn’t that what playing at a casino is all about? Hitting the jackpot is undoubtedly a major goal for all slot fans, but the chances of the big win aren’t great. In short-term play, most players will never experience the unadulterated joy of a major jackpot win. With that in mind, the odds of slot machines are slightly altered. Consider, for example, that you’re playing a slot with a payout rate of 94 percent. This is a pretty standard payout, and it gives decent odds to the player. 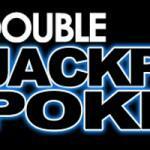 However, it’s important to remember that the jackpot eats up a hefty percentage of the overall payout. In simple terms, most machines account roughly 18 percent of the overall payback to the progressive jackpot, meaning that, by not winning the jackpot, your odds will be notably less. 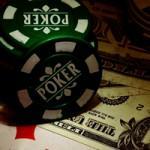 For this reason, some players prefer slots with favorable paytables and no jackpots. Would you rather roll the dice on a huge payout with long odds or stick to smaller payouts that you’re more likely to win? This is another choice to consider when picking a machine. Slots players are lucky, because they have access to more variations of their favorite game type than any other players in the casino. If you’re still looking for your favorite machine, don’t let the huge variety distract you from your mission. Find a great machine, and you could be on your way to a very profitable visit to your favorite casino!